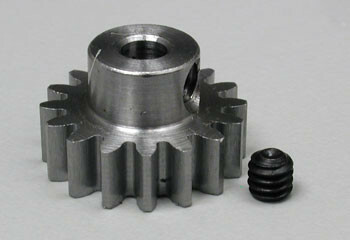 This 32P 17T steel replacement pinion will give you more overall top speedcompared to the stock Clodbuster 13T pinions. You will need to modidy the Clodbuster gearcase to get these pinions to fit. Shipping Charges: Our standard shipping charge for this item is a flat $5.00. This product was added to our catalog on 06/18/2018.